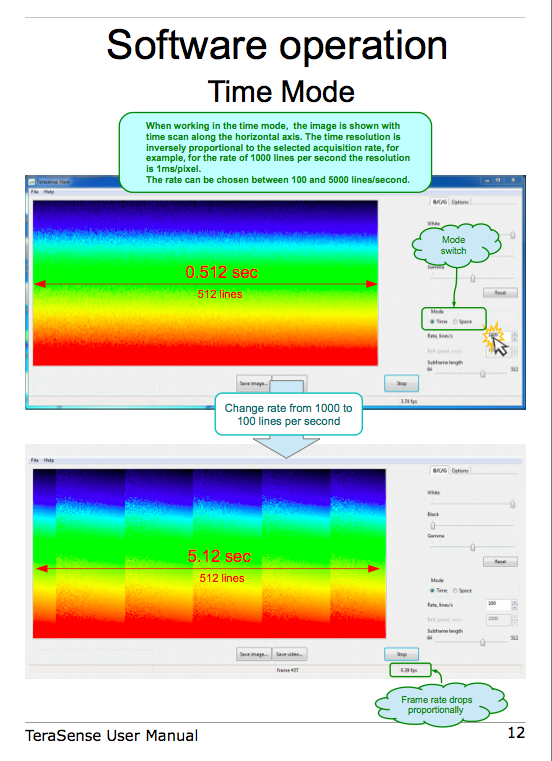 Home › News › Want To See How The High-Speed Linear THz Scanner Works Before You Own It? 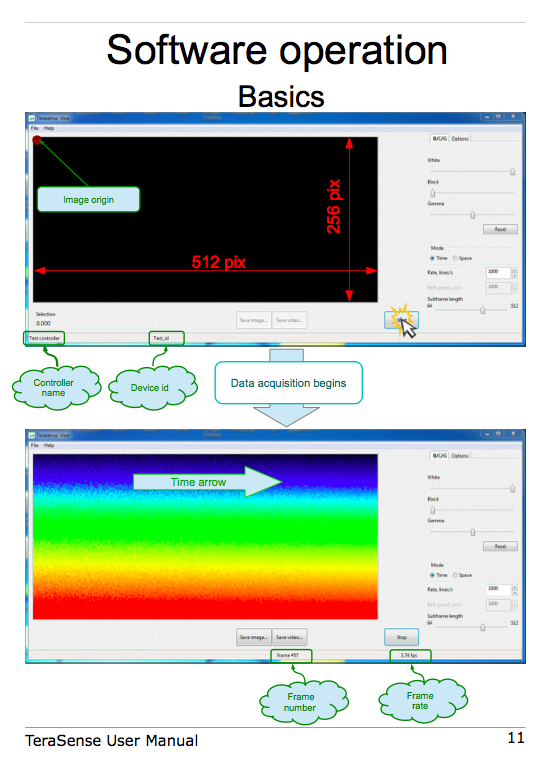 Want To See How The High-Speed Linear THz Scanner Works Before You Own It? 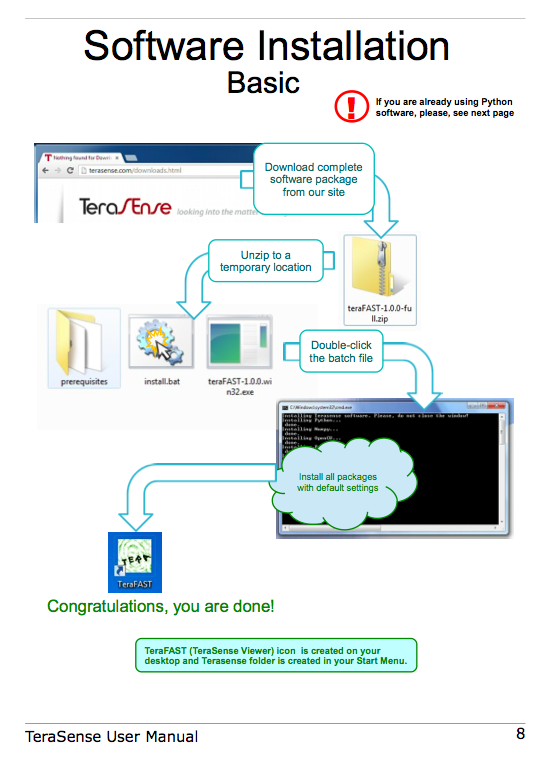 Now you have this opportunity as Terasense has finally released the software package and manual for its newly developed High-Speed Linear THz Scanner! Moreover, we are glad to present a 'simulated' version of the software this time around, for those who keen on testing the interface before the system is ordered. The 'simulator' runs without a camera and generates some random data in order to have an impression of interface design and structure. Try all these modes and features in your lab before you've made your choice on which THz camera suits you more. The High-Speed Linear THz camera features both, unprecedented imaging speed at 5 kHz, and ease of integration into many industrial production processes. Our fast linear sensor array is built to satisfy the needs in non-destructive testing (NDT) and quality control for many industrial applications employing high speed conveyors belts. This product fits most of conveyors with a belt moving speeds up to 15 m/s (image acquisition rate is up to 5000 frames per second). Rapid non-destructive, non-invasive characterization and imaging of objects / defects in uniform materials or under coated surfaces has never been easier and faster than with our TeraFAST linear camera. 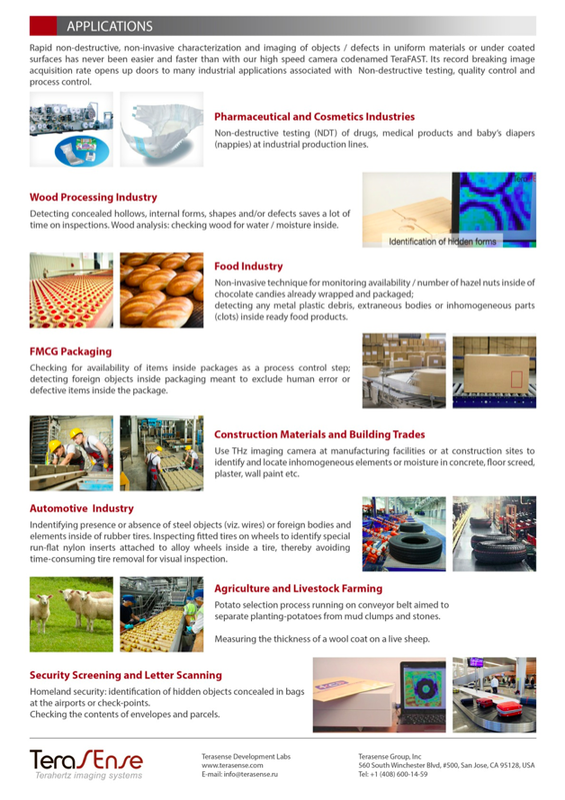 Its record breaking image acquisition rate opens up doors to many industrial applications associated with Non-destructive testing (NDT), quality control and process control.